Sigma Phi Epsilon brothers at the University of Richmond will host their annual philanthropy event “Hoops for the House” March 29. All proceeds from the bracket-style basketball tournament are donated to Ronald McDonald House Charities of Richmond, which provides support for families with children receiving medical treatment. 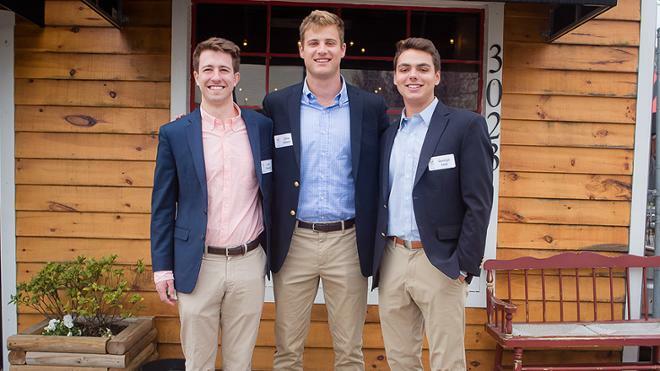 In 2017 the University of Richmond chapter of Sigma Phi Epsilon won the Quigg Award for Philanthropy for organizing the event. In 2018 the group raised over $24,000, which was dedicated to a hospitality cart that brought toiletries, snacks, and activities to families in the Pediatric Intensive Care Unit at Bon Secours St. Mary’s Hospital. This fundraising campaign has already generated more than $18,000 in donations so far this year.